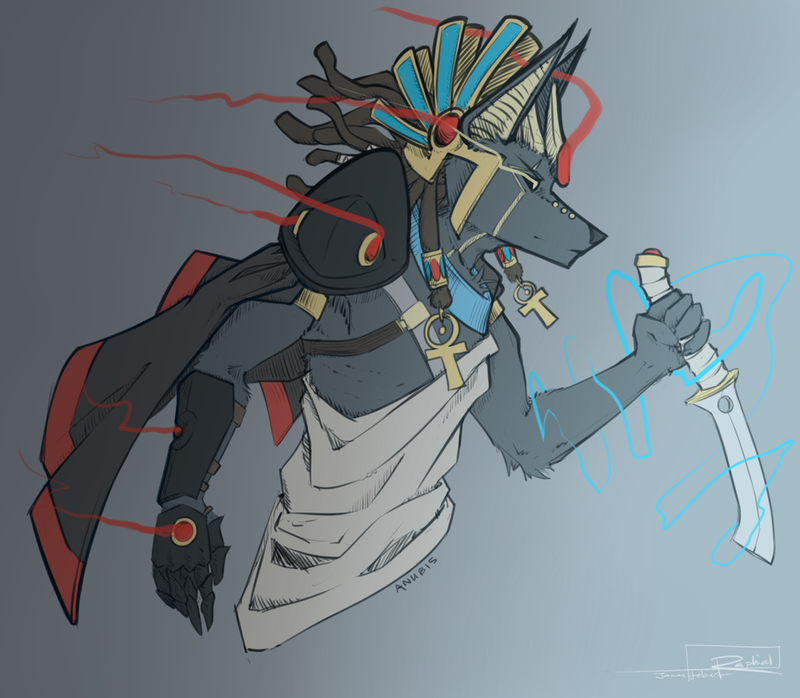 Anubis, gatekeeper of the road between worlds, and guardian of the living. He has been around since the dawn of their galaxy, being one of the three original sibling gods. He had to experience his younger brother, Horus, die by his other brother's hand, Osiris, out of jealousy and greed. Since then, his heart grew darker and darker, and there has always been conflict between himself and Osiris, god of the Underworld.